The term "microbiome" has never been more popular...and for good reason! In recent years, more research has surfaced that has allowed us to develop a better understanding of the gut and its role in our health—including and especially skin health. It seems that an imbalance in gut bacteria leads to poor absorption of food nutrients as well as poor filtering out of toxins from the intestinal tract. This gnarly combination can take a serious toll on our digestive system as well as our integumentary system (that's a funny way of saying "skin"), leading—for many people— to the development and worsening of inflammatory skin conditions including acne. Fortunately, there are several ways we can improve the health of our microbiome and help fight acne from the inside (while also treating it topically) with the use of both probiotics and prebiotics. What causes an imbalance in gut bacteria? The most common cause of gut bacterial imbalance (i.e. too much "bad bacteria", not enough "beneficial bacteria") is long-term use of oral antibiotics. This includes antibiotics for acne specifically as well as for other conditions. Think of antibiotics as the bacterial security guards of your macrobiotic nightclub and your "good bacteria" as by-standing good samaritans. The antibiotics are strong and mighty and knock out the bad bacteria to keep the club running smoothly with little to no issues. Unfortunately, antibiotics also takeout some good bacteria along the way. Once you stop taking antibiotics and there aren't enough "good guys" to keep the bad guys in line...you've got a problem. But antibiotics aren't the only thing throwing off our microbiome. In today's world, we're constantly exposed to countless toxins in our environment, in our homes, and even our dish soap. These toxins can have an equally gnarly impact on our gut health. What is leaky gut syndrome and how does it affect acne? Leaky gut (or leaky intestine syndrome) is a disorder that occurs when our gut lining (it's protective shield) s compromised and toxic compounds are then more easily absorbed into the bloodstream. This toxic load increase triggers an immune system response and subsequent low-level chronic inflammation that causes damage to multiple organs including the skin, which can trigger or worsen acne breakouts. What are probiotics and how do they impact the skin? Probiotics are essentially live “good bacteria" (pro: good, biotic: bacteria). They are naturally occurring in our gut as well as in fermented foods like yogurt and sauerkraut. There are hundreds of different (identified) probiotic "strains", but the most commonly known are Lactobacillus and Bacillus Bifidus (both Bifidobacterium). 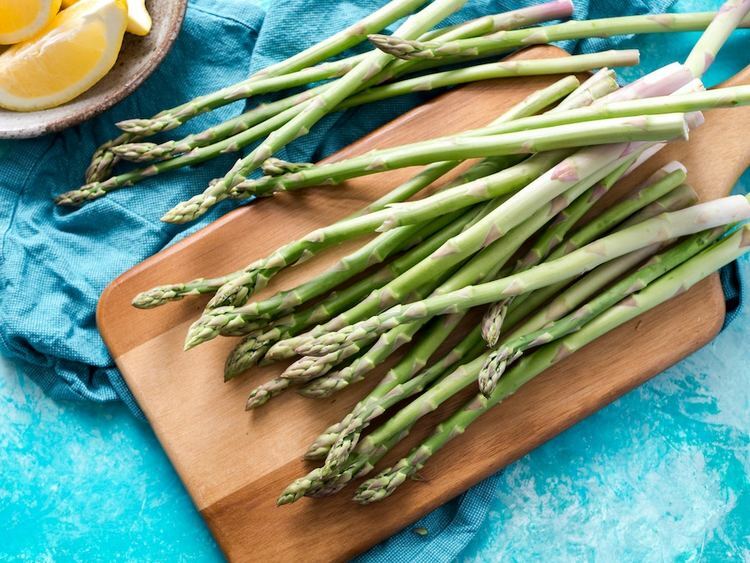 These gut-friendly bacteria are well equipped to fight the “bad” bacteria that can damage our intestines and may have a beneficial effect on our immune system and overall health. When taken by mouth, they can help normalize gut bacteria, improve the microbiome balance of your gastrointestinal tract, and subsequently reduce inflammation throughout the body—including your skin. Recent studies have shown that inflammation-related skin disorders—acne (especially cystic acne), rosacea, and eczema—can flare up when our gut microbiome balance is damaged. One study found that people with acne had less of these bacteria than people without acne. While there is still much research to be done, it appears (and many individuals have self-reported) that probiotics may be a helpful tool added to an acne treatment program and can also help calm other inflammatory skin conditions by balancing the microbiome and reducing systemic inflammation. However, this rebalancing effect can take time and should be considered an adjunct therapy to an effective, medical-grade topical acne treatment. Additionally, there are some cases, for example, in patients with SIBO (small intestinal bacterial overgrowth) in which probiotics may not be the best choice and could actually exacerbate the issue. Before starting a probiotic supplement, it is always a good idea to consult your physician first and if possible, get tests to better understand the condition of your microbiome. In addition to probiotic supplements, you can also increase your consumption of foods with naturally occurring probiotics such as yogurt (non-sweetened! ), sauerkraut, kombucha, etc. The American Academy of Family Physicians suggests a dosage of 10 to 20 billion colony-forming units per day. Probiotic yogurts contain 5 to 10 billion colony-forming units per 4-ounce portion so may not be enough to help combat skin inflammation on their own. Do topical probiotics help with acne? Using skincare products with topical probiotics may seem attractive and can work well as a skincare option some. However, for acne patients, it is best to stick to oral probiotics and focus on skincare products (such as salicylic acid and benzoyl peroxide) proven to fight the acne vulgaris bacteria. --> To find the right acne treatment products for your skin type, acne severity, and skin sensitivities, take the free MDacne skin analysis. 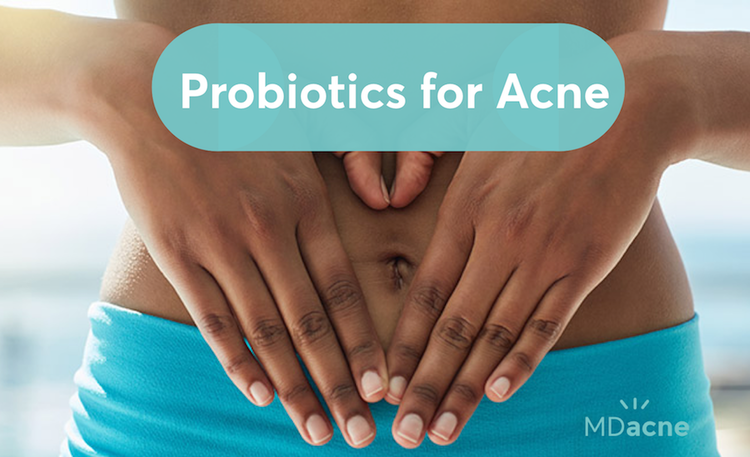 Is it possible to cure acne with probiotics or prebiotics? Probiotics and prebiotics can certainly help improve digestive health and therefore, aid in the treatment of acne for some acne patients. However, the benefits of probiotics in the treatment of acne still have yet to be studied at length and are not likely to cure acne on their own as a single therapy. If you want to achieve clear skin, consider supplementing and increasing your intake of both prebiotics and probiotics while also committing to an effective topical anti-acne treatment plan.